Storyline: An architect and his wife moves into a house with a bloody past and a 100 year old ghost, who possesses the wife. 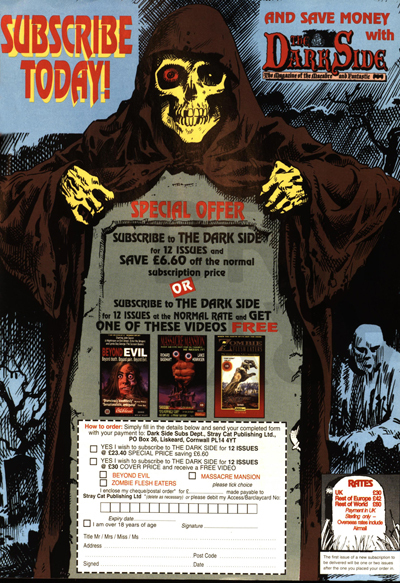 This was VIPCO’s eighteenth release, and devotees of the Christian faith should beware: In true VIPCO-styled fashion, this August 1981 release featured a colourfully striking illustration of Satan – an evil-looking statuette that is featured heavily throughout the film – which may prove to be strangely unsettling to those of a nervous disposition. Freed’s next picture, the mediocre but hard-hitting high school horror-themed Graduation Day, featured Lynda Day George’s real-life husband, Christopher – in a film that proved to be something of a minor success on tape for its Buckinghamshire-based distributor Iver Film Services. 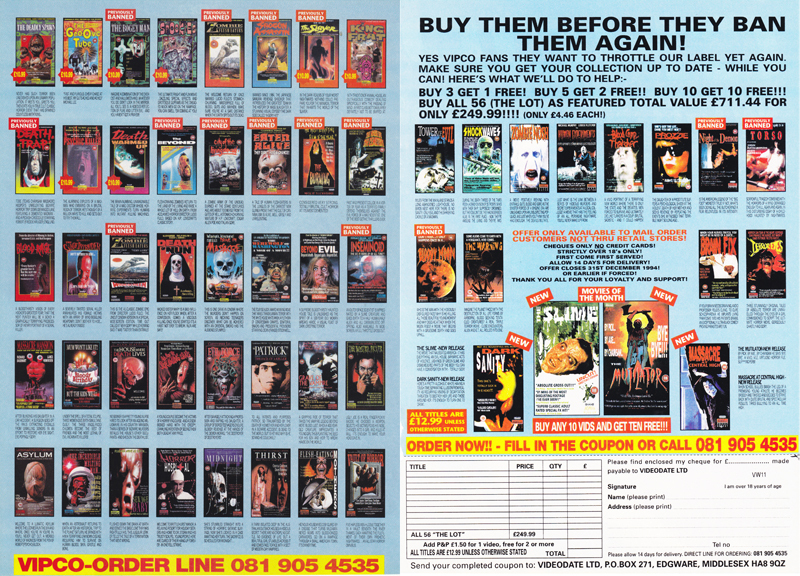 Meanwhile, back at VIPCO HQ, the company was beginning to carve a niche for itself, as suppliers of video films which would soon be deemed too hot for UK rental shelves; titles that included such controversial – and risqué but undeniably rental-worthy – gems such as Abel Ferrara’s The Driller Killer, Tobe Hooper’s Death Trap and their number one rental smash hit, Lucio Fulci’s Zombie Flesh Eaters.